“No decision about me without me” has been a key element of NHS rhetoric since 2012. It’s a great idea, however, the current reality is that as a universal principle this remains far from true. Why is there still such a struggle to make this happen? In healthcare there is an increasing acceptance of the need to have patient engagement strategies and patient representatives at meetings, however, this attempt can be tokenistic and fall short as a genuine endeavour to find out what service users want, and to design improvements and implement changes together. I know that in the work that I do with #MatExp, both online and at “Whose Shoes” maternity workshops, the value of health professionals of all specialties and grades talking and listening to the women and families they care for on an equal footing cannot be overestimated. In some ways, maternity has been lucky as a specialty that has taken early steps to involve patients and collaborate with them—with maternity service liaison committees (MSLC) running since 1984. However, I will openly acknowledge that in the past for some professionals, attending the MSLC has not always been a positive experience. As well as variation in their effectiveness, there has been inconsistency in provision—some maternity services do not have an MSLC and women using services can be unaware of its existence where there is one. Our job to use women’s feedback to shape services and to actively involve women in improvement work is therefore far from complete. Yet something exciting is underway. The modern MSLC is having a resurgence, with some outstanding examples of genuine collaborative work that truly benefits local women through health professionals being directly able to understand their needs. With the eagerly awaited publication of NHS England guidance in February 2017—which will relaunch MSLCs as maternity voices partnerships (MVPs), although some MSLCs have pre-empted the guidance and already taken up this revamped name and role—the opportunity to share and spread this success is upon us. Guidance is extremely valuable, but we know it can take years for guidance to be implemented so I hope that sharing some of my experiences of the practicalities of MVP work may help others see their value. At my own trust I am the obstetrician member of Kingston Maternity Voices. We meet quarterly at the trust. This group is still very much in development after having undergone NCT Voices training earlier this year. In contrast, Bromley Maternity Voices (MSLC) has been up and running for three years, and I was delighted to be invited to visit a meeting recently by their lay chair Laura James to see how a more mature maternity voices partnership functions. Bromley Maternity Voices holds six meetings a year of two hours’ duration, each one held in different children and family centres in the community. Simple practical information about parking spaces and the provision of crèche spaces for children under 5 were circulated with the meeting dates, making it easier for service users to attend. There were about 20 people in attendance of all different backgrounds and areas of expertise. The local trust and commissioners were well represented, as well as at least six user reps. Health visitors were represented and there is a GP member of the group, although they were unfortunately unable to attend that meeting. There was a student midwife—involvement of students is critical so that this work becomes an accepted part of the status quo. The duration of the meeting was sufficient to allow some genuine thinking time and the agenda was wide and varied, ranging from a local initiative to support new mums with mental health needs to an update on national policy. Congratulations, what did you like about your maternity care? Women had written comments on post-it notes under these two headings and we broke into two groups to categorise the feedback according to theme and to consider actions that might address any problems. The director of midwifery explained that the flip charts are then taken back to the maternity service, where they are laminated and displayed. She remarked that she discovered having women’s comments up in their own handwriting had a greater impact than typed up feedback, as staff comment that it feels more real. An update was given on the actions resulting from similar discussions at a previous meeting. Women had experienced difficulty booking antenatal appointments, so the service had made a change and already the feedback from users had improved. This positive news being relayed back to staff was helping to embed the changes. An update was provided about the labour line, a dedicated phone line that provides the continuity of speaking to the same midwife when women in labour ring the hospital, which had also been introduced as the result of feedback. There was a broader discussion about feedback mechanisms to identify gaps in the service, and ideas of how to fill these gaps (with proposals for a “walk the patch“) focused on neonatal parents and some targeted feedback of fathers. Co-design of information leaflets for women was a topic that carried on into the following day when the commissioner attended the South East London Maternity Network board meeting. Laura James told me afterwards that some meetings are more action focused, while others are more reflective. To be most effective, this collaborative co-design work needs to happen at the local level. For example, King’s College Hospital NHS Foundation Trust is one trust, but it currently has two MSLCs, one for each obstetric unit and community hub—King’s MSLC is linked to Denmark Hill and Bromley MSLC to the Princess Royal University Hospital. Laura says that “given the geographical area and different demographics, we couldn’t do the local work we do or include the service users and reps if it was one giant MSLC for both sites.” Bromley’s clinical commissioning group (CCG) has been very supportive of this approach. Other professionals have written about the positive contribution the MSLC makes to their work: “To me it is women ensuring the services we provide are relevant to the changing needs of our community,” says a consultant obstetrician. “A positive driving force, for me personally the MSLC has inspired and motivated me to keep going and provided me with courage and resilience when times are tough,” comments a consultant midwife. Bromley is far from alone: up and down the country there is an increasing number of MVPs with a strong sense of shared energy and enthusiasm and a desire to improve services. It is important to note that this sort of valuable co-production and improvement work doesn’t happen easily. It can be a difficult task for service user leads who have been functioning in local isolation to get the MVP up and running well; they need the support and respect of local healthcare professionals. If there is frustration locally, health professionals could approach the chair of the MVP and ask “How can I best help the MVP achieve more? 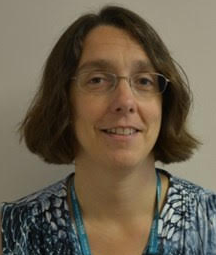 Is there a project or sub-group that I could join and support?” Another critical element to an effective MVP is funding; the most successful MSLCs, such as Bromley and Reading, are financially supported by the local CCG and have leaders/chairs who receive some modest financial recognition for the work they do. If we are serious about really putting patients at the heart of what we do and practising “no decision about me without me,” then as professionals we need to have the courage to take that first step of inviting patients into our world and working alongside them. As we often say in #MatExp: “No hierarchy, just people.” Maybe, as Laura James recently tweeted, it will no longer be “You said, we did,” but time for “I said, I did.” Together, I believe we can make this happen. • Employed by Kingston Hospital NHS Foundation Trust, associated with London Maternity Strategic Clinical Network, current project funded by NHS England Challenge Fund. • Founder of MatExp—a change platform—with Gill Phillips of Nutshell Communications Ltd with whom I work closely.